As pets age, their joints may get stiff and soon your dog or cat cannot climb the stairs or jump in your bed any longer. The intestinal tract does not function like it once did. In fact, you may notice more gas, diarrhea and even vomiting. That is why Amber Technology created Carticil Plus. 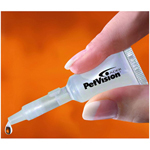 Carticil Plus is not only for older pets as it also has many other uses. To heal broken bones, help stop allergies and to keep the nervous system healthy. 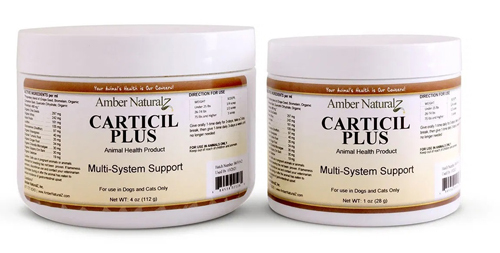 Carticil Plus which is high is antioxidants, has been specially formalized to help balance the immune response, by binding together connective tissues, muscles, tendons, ligaments, cartilages, blood vessels, skin and bones. 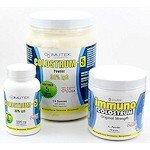 Carticil Plus also affects the immune system in other ways. 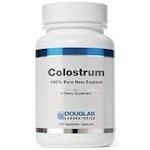 It enhances the activity levels of lymphocyte cells and at the same time, inhibits other immune cells from becoming stimulated. Interferons are small groups of proteins referred to as cytokines that are produced by your pet's white blood cells, fibroblasts, and T-cells and are part of the immune system. They are basically the catalyst in the immune system that responds to the viral infections. But it in order for all this to happen special ingredients are needed, which is why Carticil Plus was developed. Carticil Plus also has fiber to help maintain good digestive health which lowers the risk of colon cancer. When animals are older the risk for colon cancer is much higher. Administering fiber and a good digestive health program to your pet at an old age (the earlier the better) is very beneficial. Carticil Plus helps keep the digestive flow healthy and if your pet has a history of constipation and/or diarrhea, then Carticil Plus is a great choice. There is also evidence that the regular use of Carticil Plus may help lessen the severity of diabetes. The older your pet gets, the ligaments, tendons, joint and joint fluid wear down. If your pet is used to exercise, the joints may remain healthy until the end of their days. If your pet is not exercised the joints, joint fluid, ligaments and tendons will get stiff and will wear and age. Your pet will become immobile within a few years. Using Carticil Plus your older pet can still have mobility. One of Carticil's main functions is to keep bones healthy and strong by providing silica which is necessary for bone repair, cartilage and connective tissue. For this reason Carticil Plus is a wonderful product for older pets. Carticil Plus contains: Glucosamine, Quercitin, Bromelian, Apple Pectin, Ester C, Slippery Elm, Oat Straw, and Shave Grass. Warning: Do NOT give if diabetic, pregnant, history of irregular heart rhythm, allergic to pineapple, or taking blood thinners. 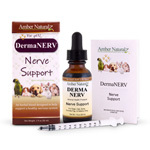 Derma NERV helps relieve and heal nerve issues. 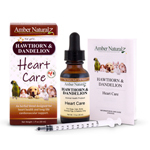 Hawthorn & Dandelion helps strengthen and support the heart! 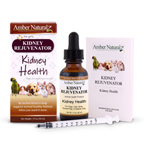 Kidney Rejuvenator is a natural pet kidney cleanse & detox remedy.